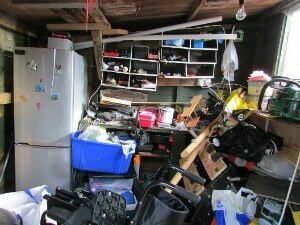 The effects of hoarding can be substantial on one’s well-being and overall happiness. 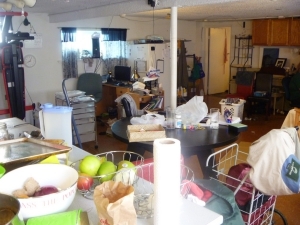 A cluttered or severely junk-filled home can make simple tasks near impossible and create an unsanitary environment that is just not a great place to be. Typically the most difficult part of the hoarding cleanup process isn’t the cleanup itself, but the process of convincing the homeowner to accept that they must begin cleaning up. We cater for deceased estate and hoarding rubbish collection by offering a full-service rubbish collection and clean. A process developed to leave you with a spotless and ready-to-use space by the time our team leaves. Our team is hands-on and responsive during the clean, so we are able to leave specific items that have value and generally collect rubbish that the owner wants to be taken away. We ensure that no matter the size of your rubbish removal project, we can handle it, with our expertise, collection vehicles and passion for getting the job done. The most common items that are required to be collected are typically rubbish and clutter. Simply, junk. Clutter can ruin a space, make it look dirty and stain both walls and floors if it’s left too long. Our professional teams are able to deal with the removal of rubbish and general clutter fairly easily and in not much time at all, depending on how much there is. We make sure to check more thoroughly in hoarding and deceased estate rubbish collections for items that may have sentimental value or seem more important, so you don’t need to worry about personal items being thrown away by accident. The disposal of old furniture and decor may also be required if the items are old, unused or simply broken. If these items have been too heavy for you to remove without assistance then there’s no longer any need to worry. Our crew will do all the heavy lifting and move any furniture to our trucks for disposal. When a removal consists of furniture we make sure that these items are either recycled, dismantled or disposed of correctly to reduce landfill waste. If garden waste has built up over time in a front or backyard we are able to remove this for you, this often includes yard trimmings, branches, palm fronds and more. All green waste is transported to either a recycling facility to be turned into mulch or wood chips or taken to a certified green waste landfill facility. When entire homes are required to be cleaned and all their contents and rubbish removed there are often a lot of appliances either hidden behind clutter or throughout the home. This can include things like microwaves, TVs and more. We are able to collect these items for disposal and recycle at the nearest recycling facility or landfill sites, though we always try to choose the most environmentally friendly option. As hoarding and deceased estate rubbish collection involve the removal of almost countless categories of items the cleanup and disposal are affected by a number of regulations which dictates the removal and disposal of e-waste, chemicals and hazardous materials as well as steels and recyclables. We always ensure to separate and dispose of each item type correctly and in accordance with these regulations to mitigate the possibility of a penalty. Our team will completely remove all of the hoarded rubbish and clutter within the home that you don’t wish to keep without needing you to lift a finger. We do all the heavy lifting and even the actually detachment of drawers and cabinets from their fixtures or walls. Our team works with customers in the suburbs, inner cities and rural areas to assist in the disposal of hoarding and deceased estate rubbish collection. We are able to visit homes, apartments and even sheds to offer our collection and disposal services to those who need it most and want back a safe, tidy and clutter free space. We make sure to not pass any judgment under any circumstance as cleaning up hoarding and deceased estates is often a difficult process. 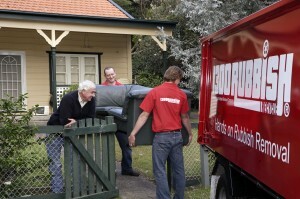 The most common settings for our hoarding and deceased estate rubbish removal are homes and townhouses. We make sure to not make too much of a disturbance in the neighbourhood when cleaning and removing rubbish and other items from homes during a cleanup. Our teams do all the cleanup work exclusively, though a hands-on owner or resident can simply step in and assist with the removal of items that may be important or sentimental, giving you peace of mind that important items are not discarded. Locations like apartments, duplexes and units are also frequently visited by our teams. We know as these homes are closer together there is an emphasis on being as non-disruptive as possible and to also not block or cover shared driveways or doorways. If the area you need cleaned up and rubbish removed from is a shed, or a multi-living shed and a home, we can help with this too. No matter how much clutter, rubbish or number of appliances and furnishings you need to be removed, our team can easily lift and load them all into our rubbish removal vehicles. We make sure that the entire process is seamless by either having a plan of action for the removal or consulting with you throughout the process just to make sure what we’re removing is correct. 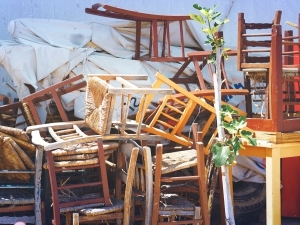 Hoarding and deceased estate rubbish and general clutter can severely dampen your lifestyle. Living in a cluttered and uninviting space, or not knowing what to do with a deceased family members belongings can be the cause of high-stress levels and general lack of motivation and stability. To combat this, a professional and empathic rubbish removal companies like ours are able to do all of the work for you so you can be greeted with an entirely clean and tidy space and never have to deal with or look at all of the rubbish or mess again. Deceased estate and hoarding garbage, rubbish & stock removal will begin. The removal of general waste is typically straightforward, efficient and is a necessity for all homes. Our team is able to complete this task prior to any of the larger items being removed and will give a brief look at the home or area being partially cleaned and give you a sense of what the final result will look like. We are able to easily lift and load any furniture or any home furnishings that are damaged or broken or that you simply want us to remove and dispose of. These items are normally disposed of as they have been damaged due to being surrounded by clutter or are simply too dirty to clean. When we dispose of these items we focus on the most environmentally friendly option, which can either be recycling, deconstruction or reuse. Though, if it must be sent to landfill we ensure it is done so responsibly. In homes that have been subject to hoarding, beds and mattresses are often used as shelving and a space to put things on. 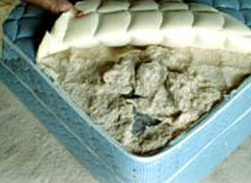 This means that these items often have no other choice but to be thrown away due to the mattress and frame being damaged or entirely split. Normally these items can’t be take away in a car or ute as they are too large, but with our rubbish removal vehicles, we are able to easily dispose of bed frames and mattresses. A few items that are normally difficult to dispose of properly are e-waste and appliances. As these items aren’t typically meant to be thrown into landfill, we make sure to take computers, or printer and light bulbs to the correct facilities for recycling and deconstruction. A professional, efficient and affordable hoarding or deceased estate rubbish removal is the best way for you to declutter a room, your yard or any other space so you can use it more effectively. Our team boasts years of experience, quality equipment and appropriate clothing to dispose of all types of household waste, no matter the size. We focus on providing a service that offers a compassionate and full-service clutter and rubbish removal. Get in touch with us and make an appointment today.